The automatic transmission in vehicles is yet another great invention in the automotive industry. Due to the fact that driving an automatic transmission vehicle is much easier than the alternative, most drivers prefer this type of vehicle. Plus, it is a much safer option. You might have noticed teenagers pull this trick in order to have the thrill of revving up the engine. However, this is a big mistake—it gives the transmission a huge shock, causing more friction which consequently damages the internal components as well as the engine parts. Putting your car in neutral while driving is dangerous, as it takes away your ability to accelerate and only allows you to brake. Also, sliding the vehicle into neutral reduces the oil supply, making it difficult for the transmission to operate smoothly. This can cause significant damage to the transmission. Automatic transmissions tend to wear out very fast if the gears are changed rapidly, between reverse and drive, when the car is still moving. It’s best to use the brakes to fully stop the vehicle before putting the car into a different gear. It is important to ensure that your car has completely stopped before you put it in park. When you shift your car into park, a locking pin is inserted into the parking gear. If the wheels are still rolling when the car is put in park, it is likely that the locking pin could break or become damaged. This can be a big mistake, especially during the winter season, as the lubricating oil tends to thicken due to low temperatures. If you start driving your car without giving it a minute or two to warm up, the oil will not have sufficient flow to lubricate all the parts of the transmission, leading to severe internal damage. Some people have a habit of putting the car in neutral at a red light as a way to protect the driveline from unnecessary wear. However, it is actually more prudent to apply brakes and keep the car in drive. This is because the differential takes on damage when the car is frequently switched in and out of neutral. An important aspect of an automatic transmission vehicle is fluid pressure. Fuel, apart from its major function of combustion, also helps other elements of the engine stay lubricated and cool. So, it is best to keep your fuel tank filled up in order to avoid wear and tear on the supporting parts. 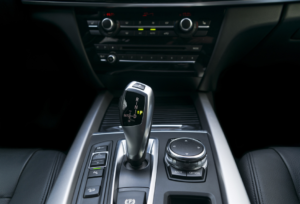 Looking for a Transmission Repair Shop in the Oak Park Area, Illinois? Are you noticing any vibrations when driving your car? Do you feel a mechanical disturbance, or hear a new noise that your car makes while running? If so, your transmission could very well be the issue. If you are in the Oak Park area, we here at King Transmission Repair are the people to see. We have been in business since 1954, and our technicians have repaired transmissions of all types for Oak Park area residents. Regardless of the make and model of your vehicle, we can help.